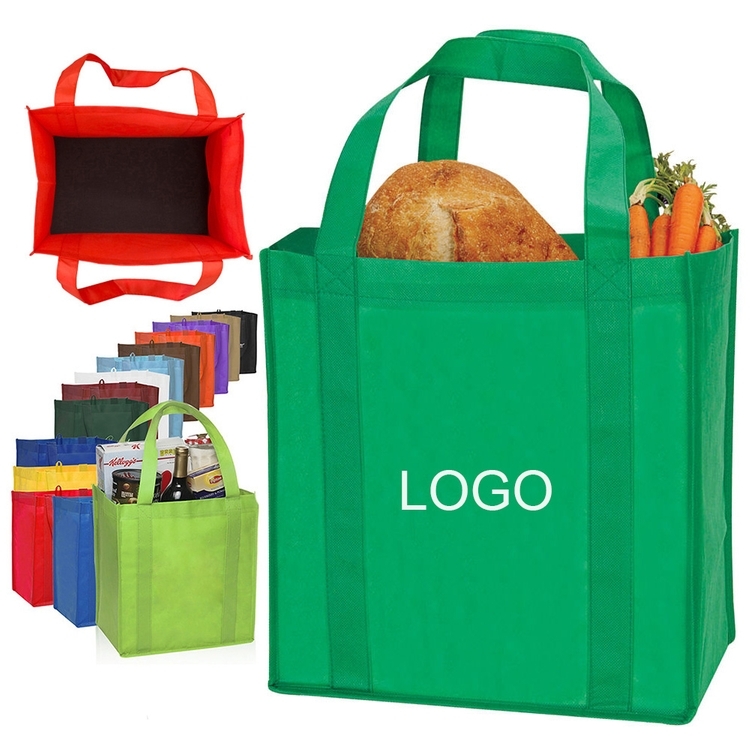 This bag made of 80gsm non woven with a hard plastic board insert bottom for extra reinforcement. It features a 20" long handle straps stitched the entire length of bag for reinforcement. A large imprint area.